There are points in our professional lives that change us for the better. I vividly remember one such moment in 2009 when I took a device from a student as he had it out in the hallway. Since this was a violation of school policy I immediately confiscated the device, as this is what I thought I was supposed to do to ensure a school culture free from distraction and solely focused on traditional learning. I helped write the district policy blocking social media and at the school level made sure no mobile devices were seen or heard. As the student handed me his device to avoid a one day in-school suspension for open defiance, his message to me rocked my world and not in a good way. He thanked me for creating a jail out of what should be a school. This was the moment in time that I began to move from a fixed to a growth mindset. Ever since Carol Dweck’s landmark research on mindsets the world has been buzzing about how this concept applies to respective fields of study. What exactly is a mindset in simple terms? It is an attitude, disposition, or mood with which a person approaches a situation. In short, a mindset is a belief that determines the decisions we make, actions that are undertaken, and how situations are handled. How we think and ultimately act can help us identify opportunities for improvement. Mindsets can also function as a roadblock to progress. Our natural apprehension and fear associated with change inhibits our ability to pursue new ideas and implement them with fidelity. For sustainable change to take root and flourish there must be a belief that our actions can significantly improve outcomes. 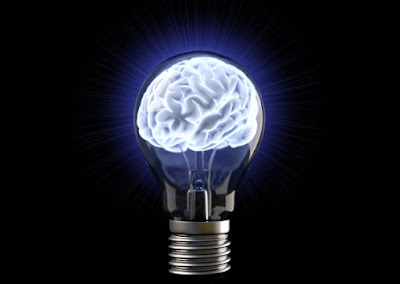 The best ideas come from those who constantly push their thinking as well as the thinking of others. "Mindsets aren’t just any beliefs. They are beliefs that orient our reactions and tendencies. They serve a number of cognitive functions. They let us frame situations: they direct our attention to the most important cues, so that we’re not overwhelmed with information. They suggest sensible goals so that we know what we should be trying to achieve. They prime us with reasonable courses of action so that we don’t have to puzzle out what to do. When our mindsets become habitual, they define who we are, and who we can become." There is no one particular mindset. They are not limited in scope and can be broken up into numerous subsets. What I believe is that the end goal of our work is to transform all facets of education to fundamentally improve teaching, learning, and leadership. The will and desire to change must be backed with action, accountability, and reflection. The hard, but needed, work is taking a critical lens to our work before and after embracing a mindset shift. Different, new, and claims of better, only matter if there is actual evidence of improvement. When my student shared his feelings with me it led me down a path towards being a more empathetic leader. If we want change leading to a transformation of practice we need to put ourselves in the positions of others to better understand their feelings. It all comes down to relationships. Without trust, there is no relationship. Without relationships, no real learning occurs. Empathy must also be better developed in our students. A great deal can be learned from entrepreneurial thinking leading to the rise of the edupreneur. Think about the following qualities, dispositions, and characteristics associated with this sub-mindset: initiative, risk-taking, creativity, flexibility, critical thinking, problem solving, resilience, and innovation. For our students, Quad D learning (see Rigor Relevance Framework) is geared to ensure students have the competence to think in complex ways and to apply their knowledge and skills they have acquired. Even when confronted with perplexing unknowns, students are able to use extensive knowledge and skill to create solutions and take action that further develops their skills and knowledge. All kids have greatness hidden inside them. It is the job of an educator to help them find and unleash it. Skills focus on the “what” in terms of the abilities a student needs to perform a specific task or activity. 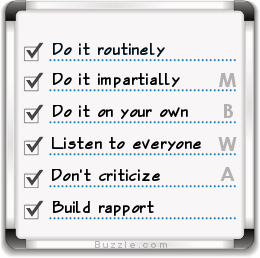 Competencies outline "how" the goals and objectives will be accomplished. They are more detailed and define the requirements for success in broader, more inclusive terms than skills do. There is also an increased level of depth that considers skills, knowledge, behaviors, dispositions, and abilities. The goal should be to develop competent learners. This applies to both students and adults. Grades and standardized tests do not accurately depict what all students (and adults) know and can do. There should be multiple paths to mastery where students can use real-world tools to engage in meaningful work. Making and makerspaces allow students to do to learn, as opposed to always learning to do. Allowing students to identify a problem and then giving them the freedom to develop a working solution not only builds confidence, but also shows kids that all learning matters. There is a great deal of scientific backing on how storytelling positively impacts the brain. Thanks to technology students now have the means to share their learning journey and tell a story in the process. When aligned to well-developed assessments and standards the use of learning stories can be leveraged to articulate how educators are preparing students in better ways. Adults can also embrace becoming the storyteller-in-chief to change the narrative. Define or be defined. The choice is yours. Efficacy is the degree to which desired outcomes and goals are achieved. Evidence matters. Not only does it matter, but in the real work it is what our stakeholders expect. It is important to identify what the Return on Instruction (ROI) is when implementing new ideas and technologies. Evidence helps to quantify success. Success breeds success. To transform teaching, learning, and leadership we must transform our thinking and then act. Actions change things. Don’t prepare students for something. Prepare them for anything. For transformation to result, you must also be prepared for anything. Think boldly, but act courageously. Your work matters more than ever. There are so many important questions that we have to ask and attempt to find answers to. Many of these questions start with what, how, and why. Simon Sinek reminds us that the most important questions we should be asking need, and should start with, a focus on why. Check out this shortened version below of his famous TED talk. His simple golden circle brings some needed context that can help to drive meaningful change in any organization. For the most part, every organization knows what they do. Some organizations know how they do it. However, as Sinek goes on to explain, very few organizations know why they do what they do. The why centers on purpose, values, belief, and feelings. The what, and to a certain extent the how, have a certain amount of clarity around them. The why is a totally different animal as it is always fuzzy in nature. It is difficult to articulate at times, thus we take the path of least resistance and focus our questions and efforts on the what and the how. The why matters more than ever in the context of schools and education. All one must do is step into the shoes of a student. If he or she does not truly understand why they are learning what is being taught the chances of improving outcomes and success diminishes significantly. Each lesson should squarely address the why, preferably early on, but this could also be tied in during a closure actively. What and how we assess carries little to no weight in the eyes of our students if they don’t understand and appreciate the value of the learning experience. The same could be said regarding entrenched practices such as grading and homework that are in dire need of change. A focus on the why is a good start, but holding ourselves accountable is another story. Therefore, as principal I directed my staff to include an authentic context and interdisciplinary connections into every lesson and project. We ensured accountability through numerous unannounced observations, collection of artifacts, and adding a portfolio component to the evaluation process. Unearthing the why became engrained in the very DNA of our culture. Relevance should be a non-negotiable in any learning task. If a student doesn’t know why he or she is learning something that is on us. Learning today and beyond must be personal for every student. Our work does not stop here. In the larger picture students also need better responses as to why they need school and education for that matter. Students need to understand better why school functions to serve them both inside and outside the classroom. A renewed focus on creating schools that work for kids through uncommon learning strategies that are not being implemented in schools at scale can help to transform numerous facets of traditional schooling. The why led us to embrace and implement Bring Your Own Device (BYOD), academies (school within a school), personalized learning, virtual learning, makerspaces, and Independent Open Courseware Study (IOCS) options. Transforming learning is a momentous task that must be driven by unearthing the why across all facets of school culture. This conversation should also translate to our own work. We say what we do and how we are different, but is this enough to change practice or perception? It is critical that educators can articulate the why related to their own work. Take technology for example. Actions of many educators in terms of learning and using technology tend to infer that the overriding focus is on the wrong thing. Some questions I commonly run across include: What are the latest apps and tools I can use in my classroom or school? How can I integrate technology to improve learning? These questions aren’t necessarily bad per se, but they often dictate the level at which tools are used. Just look around at the sessions at many technology conferences. When sessions like 50 Apps in 50 minutes have standing room only while Improving School Culture has a fraction of attendees it aligns more with the what and how. Whether it comes down to effectively using technology, growing professionally, innovating, or improving instruction, Sinek reminds us to always focus on the why first. This allows us to bring clarity to our ideas, align pertinent research, and identify practices in action for further support to instill a sense of value in the work at hand. Students must believe in their school and the value of learning. Educators must believe in the mission, vision, and goals of a school to improve. They must also believe in the pursuit of better ways to grow that move beyond sound bites, flashy tools, and ideas with little substance. 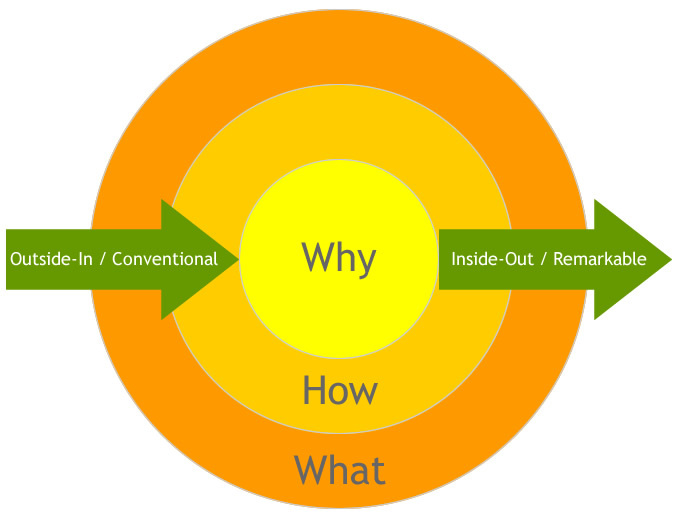 Unearthing the why is the key to sustainable change and transforming practice. No, this is not a post about value-added evaluation practices. I believe that ship has sailed. There is a great deal of research and evidence out there that pretty much debunks the claims of many in the world of education reform that accountability systems based solely on student achievement data have any merit. What I would like to discuss are ways that schools can provide increased value to students based on changes to the learning culture. A school can and should provide a meaningful learning experience for students. If they do not see any value during the time spent in buildings then the chances are that opportunities to learn, and ultimately achieve, will be squandered. Value-added schooling became important to me during my early years as a high school principal. In 2009 as I took a device from a student for failing to follow school policy that student responded to me that school was like a jail. This encounter translated into an “aha” moment. It made me critically reflect not just on our policy towards student devices, but also on a wide range of elements that impacted the learning culture at my school. What I learned was that our policies, procedures, and programs weren’t necessarily geared towards the genuine interests and needs of our student body. This is when we began our journey to create a school that worked better for kids than the one that had generally functioned better for the adults. "Value-added schools capitalize on methodologies, ideas, and tools to better understand students while improving the learning experience." Focus more on learning as opposed to grades. Integrate more opportunities for play in K-12. Implement personalized (time, path, place, strengths/needs) and personal (interests, passions, relevancy) learning strategies. Actively address the “cemetery effect” by utilizing research-based and design thinking strategies to transform classroom learning environments. Re-think homework and outdated grading practices to create a culture focused on R.E.A.L learning. Capitalize on the power of relationships by adding makerspaces, charging stations, thinking games (i.e. chess), and healthy food/drink options to common spaces to promote conversation between everyone. Treat connectivity as a life-line to this generation of kids and provide equitable access either in the form of devices or Internet. access. Connectivity is a way of life for our students. Take it from them and they will check out. Add an array of after-school programs that connect to interests and careers of the future. View technology as a ubiquitous component of the student learning experience rather than an add-on. Sometimes our own beliefs and experiences get in the way of what’s possible. Thanks to the student who set me straight, many of the strategies above were embraced, implemented, and sustained during my time as a principal. We not only added value, but were able to show efficacy in our work going forward. Don’t let your mindset or that of others hold you back. Thinking differently is a start, but we also need to act differently if we want to transform learning. Focus on the “what ifs” instead of the “yeah buts”. 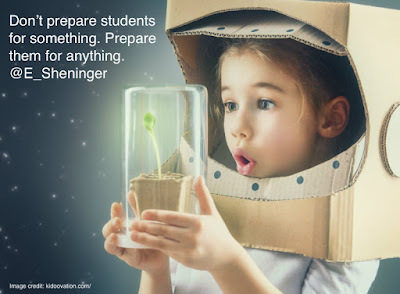 Don't prepare students for something. Prepare them for anything. Say yes more than you say no. Most importantly, be more empathetic by placing yourself in the shoes of your students. So how have you helped to create a value-added school? I would love to hear and share your ideas. I cannot overstate the importance of trust in establishing the foundation for relationships. In addition to trust various other elements contribute to the growth and strengthening of relationships. One that might not readily come to mind is association. The act of associating with others can contribute to positive relationship building and is linked to the awareness of your own defined leadership persona. Associating behavior is the essence of the classic model Management by Walking Around (MBWA), which is also sometimes referred to as Management by Wandering Around. MBWA came to light in 1982 in Peters and Waterman’s classic management book, In Search of Excellence. The authors profiled the innovative owners of Hewlett-Packard who used MBWA as their signature way of communicating with their organization—not through emails, calls, or memos but by associating: They deliberately got to their people in repeated touch points, in regular face-to-face casual moments. It sounds commonsensical to do, but it was innovative at the time and still produces results. For those leaders needing practice in associating, this strategy can give you a chance to flex your relational muscles. MBWA isn’t haphazard; it is achieved with strategic thought. Getting into a daily routine of associating with a wide range of stakeholders, internal and external, is of primary importance to leadership and to the promotion of a school brand. Adding associating— the deliberate flexing of your communicative muscle as a part of your daily to-do list—builds trust, respect, and forms a base for school leadership power. Use any of the many free communication channels available online that support an associative online daily routine as you take MBWA onto the digital and social media stage. Go on a hunt. Deliberately identify people you want to associate with in digital spaces and build relationships. There are opportunities for “walking around” in digital spaces today that weren’t existent in 1982. The power of association had a profound impact on me when Trish Rubin saw the chance to associate with me. It came from seeing that potential relationship source on TV after CBS NYC aired a story about how my teachers and I were using Twitter as a teaching, learning, and leadership tool. Our ensuing face-to-face conversations laid the foundation for how digital tools could vastly improve associative behavior. The digital world provides endless opportunities to associate with like-minded educators as well as experts in the field. 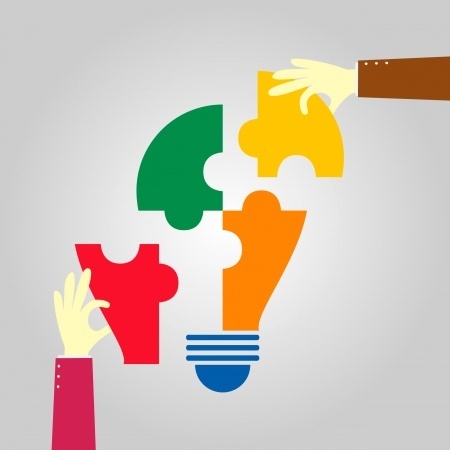 Consider adding the power of associating to your leadership toolbox. If you need structure, set your phone on a timer and give yourself 3 minutes to associate with others at various points in your day both face-to-face and virtually. Push yourself to associate daily. Use the Google Calendar Speedy Meetings setting to keep your connecting to short (5–10 minute), meaningful, real-time or online meetings. Just the intention of reducing meeting length from 30 minutes on your calendar can help you be more efficient. Move outside your comfort zone. Identify and reach out to people beyond your brick and mortar building to push your thinking and gain invaluable insight on ways to improve your professional practice. Associating with people that you might not agree or see eye-to-eye with can help to build relationships that you might not have thought were possible. All stakeholders, including students, should be on your associating radar. Talk with them about school culture and initiatives. Ask for their impression of the school vision, mission, and values to gain insight on what can be changed as well as to cultivate greater student agency. Seek ideas and suggestions. Smile and say thanks, then follow up selectively with some of these new ambassadors. Include aspirational associations. Associate through “reach” in real time or online. Look above you in a metaphorical sense. Whom do you want to build a relationship with that may have a higher stature? Start wandering around in digital spaces where your prospects are engaging. Twitter is a good resource for this, and once you have “professional collateral” to share that shows who you are, you can use it to associate for connection. As you associate, “see” around your circle. See people whom you may have the tendency to overlook or to take for granted: Service providers of any sort, businesses, media outlets, professional organizations, senior citizens, very young people, and diverse newcomers to your community can be part of your association plan. They are valuable contacts in their own right and may have additional associative power. Wander around, listen, ask questions, and engage to develop more associative relationships that can complement and improve your ability to lead change. So how have you leveraged the power of associative behavior? What other strategies would you provide to help others associate to succeed? Content for this post was adapted from BrandED: Tell Your Story, Build Relationships, and Empower Learning. Get your copy TODAY!